I said last week I wasn’t gonna wait around to make myself a Season Six tweed jacket – and I meant it! 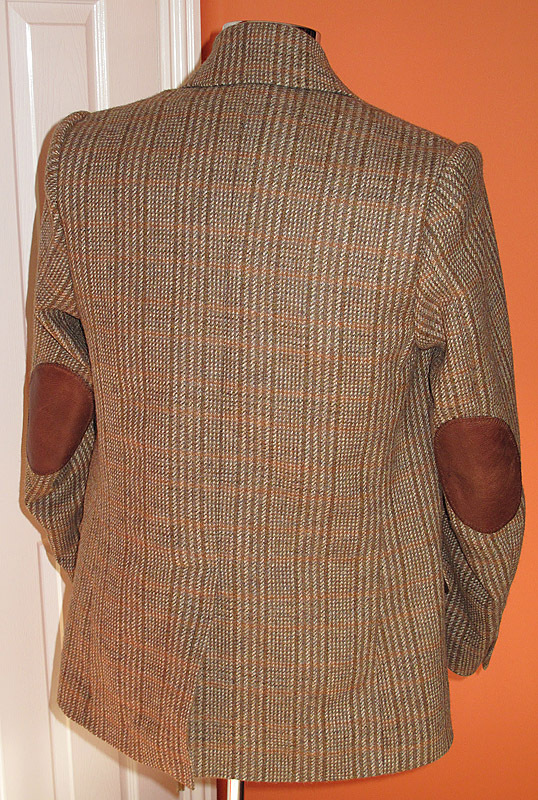 Over the past six days I have drafted my pattern; cut my cloth; sourced the perfect elbow patches, buttons (see right) and lining; and hand-tailoered an initial prototype jacket. Here it is – do let me know what you think! 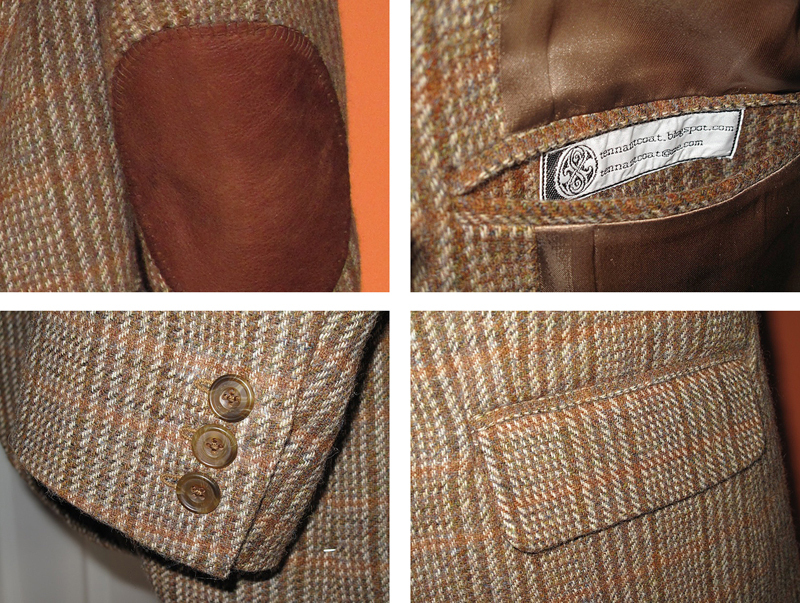 I am very happy with the elbow patches I have sourced – they really are a good quality and just the right colour. When I took a look at the buttons used for the jacket I couldn’t believe my eyes! They are the same buttons that had been used a few years ago on the Jackson Lake frock coat in The Next Doctor. I had sourced them a while back, so already had a supply in -hand. I can see a few things I want to revise immediately before making another jacket. The collar needs to be redrafted, as it has come out a but high at the back. I think I was focused on the fall of the pattern on the front and missed what I was doing at the back! Finally I made this jacket with traditional hand-tailor techniques, and I think I need to bring in a mix of methods to help the drape and hang of certain parts of the jacket. 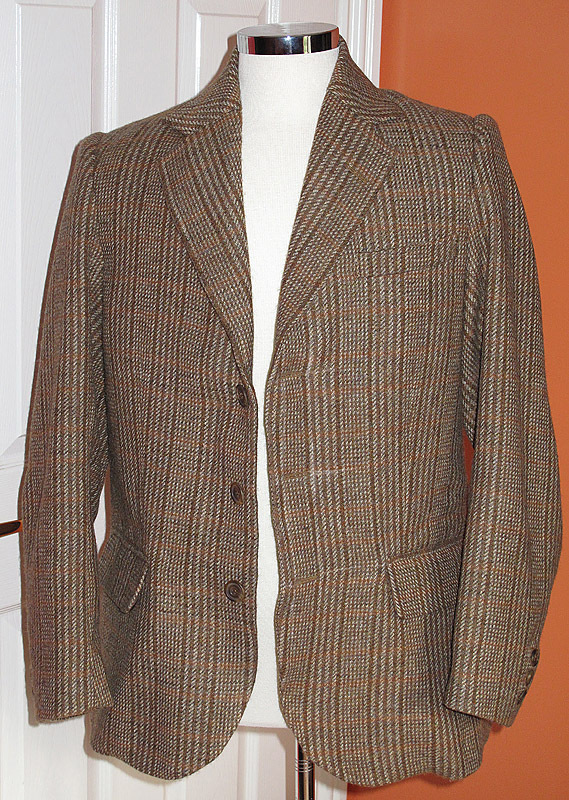 Tweed is a unique fabric and needs cutting and handling right. Once to have mastered that it is easy stuff. I just need to show it who’s boss! Please make another one and sell it to me! I've been looking for the perfect jacket and I've had no luck! I really need this! Hey! What would be the estimate? I don't have a big budget. Thanks! i want one, i really want to have one of his suits, both series 5 and 6, they're just amazing, and you've done great work, it looks like the doctor's personal jacket, its great!